Today’s giveaway is from a gorgeous and very affordable California based handmade jewelry shop, Petitor. 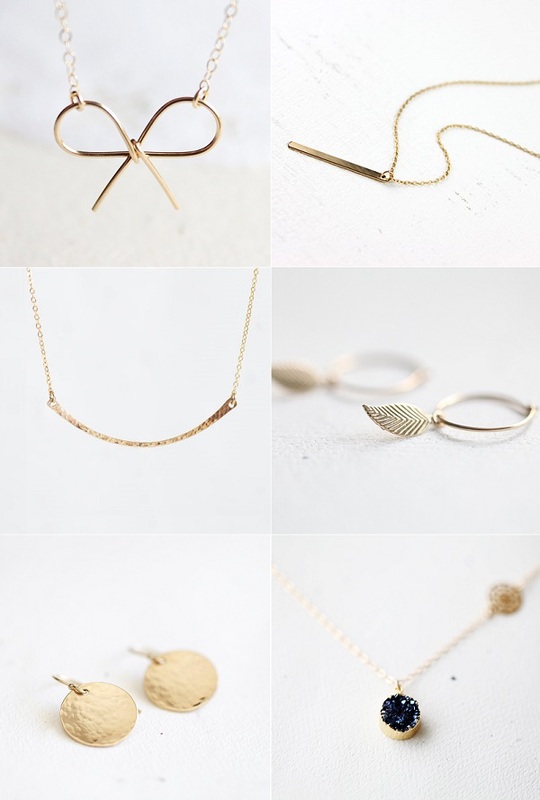 All Courtney's designs ooze tons of understated and minimal charm - the type you will want to wear over and over again. I promise, as soon as you try on one of her pieces, it will quickly become your go-to daily accessory. Today, Courtney is offering a lucky reader a chance to win one of her designs - the winner can choose their favourite piece from her entire shop. How special is that? I'd pick this or maybe that necklace as it would make the loveliest autumn accessory. 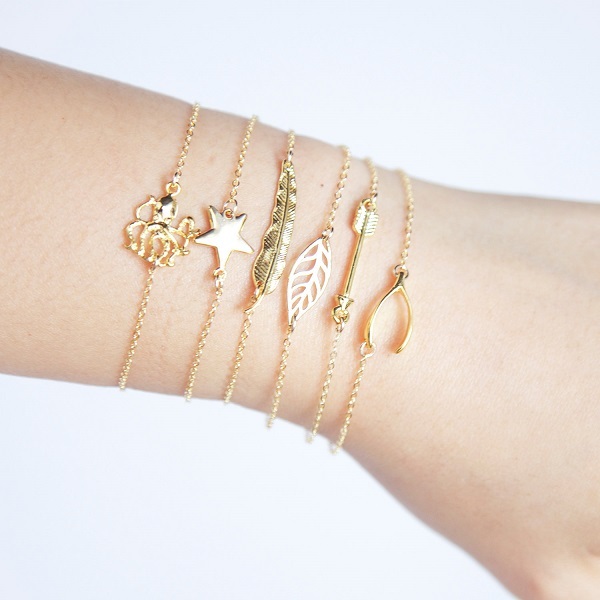 But I also can't stop lusting over this bracelet. Stunning, isn't it? I love the Cube Crystal Earrings! i followed/liked petitor on facebook! i follow petitor on pintrest! i'm in the expresso group on facebook! It's hard to choose just one but if I had to, it'd probably be the Infinity circle necklace. The vermeil gold teardrop earrings are so sweet for Fall. Lucky Horseshoe Necklace because I need an extra luck. Love the layered shark teeth. 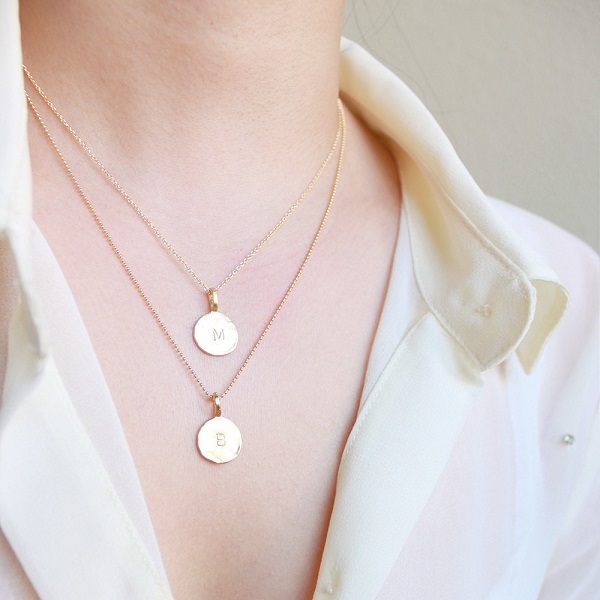 Always wishing for a dainty layer necklace and could never find an amazing one! Gosh, how do you pick?!! So many beautiful pieces. My favorite is the Turquoise Blue Druzy Bar Necklace - bar shaped bezel set natural stone in aqua blue gold necklace. It's just stunning! Close in second would be the Eternity Circle Necklace - minimalist gold circle necklace, simple everyday jewelry by petitor. A classic shape with a twist (notice the way the chain is connected to the circle! I love the curved bow bar necklace. I follow Petitor on Pinterest. I hope that I qualify as a follower just by reading your blog a lot, I rarely comment. While I am here, just want to say that I love reading what you post, very inspiring. I thought the necklace I liked looked like a calla lily ( I am a gardener) but checked their site and it's a shark's tooth, I was way off!! Not sure if what we get to choose is just what is on your page, I'd choose the long sharks tooth. If not, the blowing away dandelion necklace, seeIt's that gardening thing again!! Ohhh so many lovely pieces it would be hard to choose! I follow petitor on pinterst! I like Petitor on FB! I love the dark navy druzy necklace (and I'm an exPress-o follower)! I follow Petitor on Pinterest! i am a gfc follower va of your blog . I'm in love with the silver bow necklace! I liked Gold Nuggets Necklace most. I think I like best the Sun and Moon necklace.